Why is it called Superdude Comics? Story of Samson: Had You Not Plowed with My Heifer! The scene shifts back to Theodore Roosevelt at Sagamore Hill. 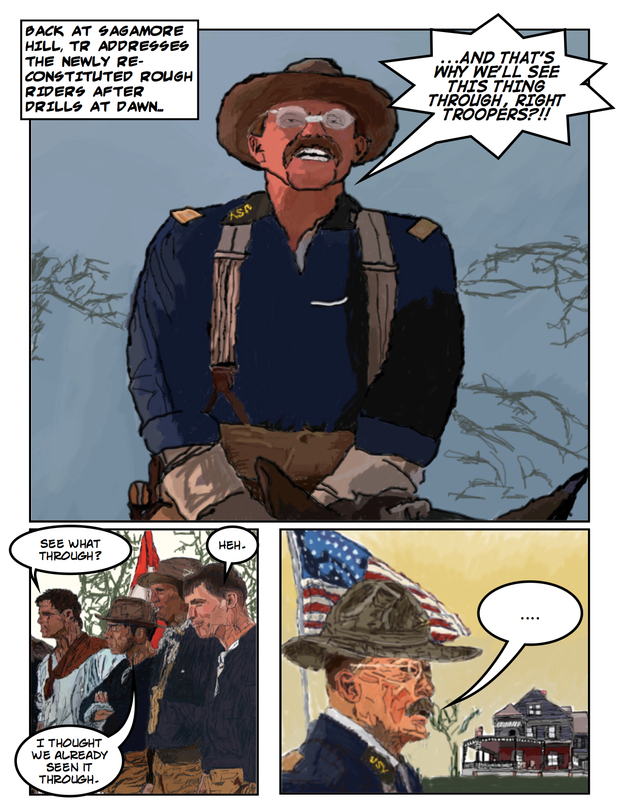 Panel 3: TR reacts to his soldiers; his speech bubble says “…” Dot dot dot. He doesn’t know what to say to his men. He stares off into the stark landscape, contemplative as the dawn brings gold to the sky and the American flag (seen in the previous panel) flaps in the breeze. The Roosevelts’ house, seen also on pgs 4-5, sits in the background.